In exactly one hour, eighteen minutes, and thirty-five seconds, Mina Mooney will be dipping her pink Nellie timbs into the infamous frosh pit. . . Hoping Del Rio Bay High will live up to her greatest expectations, Mina has big plans for infiltrating the school's social glitterati. After all, she's been mad popular for as long as she can remember--and she isn't about to go from Middle School Royalty to High School Ambiguity. But Del Rio Bay is a big school, so it'll take some plotting to avoid getting lost in the crowd. Good thing she isn't afraid of a little hard work and that her playground peeps--Lizzie, Michael, and JZ--have got her back. But it isn't long before Mina's big plans for securing her social status take a back seat to some drama that was so not expected. Lizzie's scored an invite from the beautiful people that Mina can only dream about, and not only is Michael tripping about being back in school, but now he's beefing with JZ. Worst of all, Mina's sociology class experiment to rid the world--or at least Del Rio Bay High--of prejudice is about to backfire. . .because it might just mean she'll have to rid herself of her very best friend. 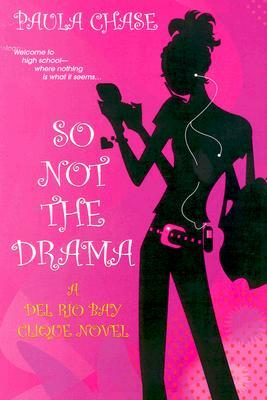 A novel about friendship, betrayal, and how far some will go for popularity, " So Not the Drama" takes a fresh and wickedly funny look at planet high school.